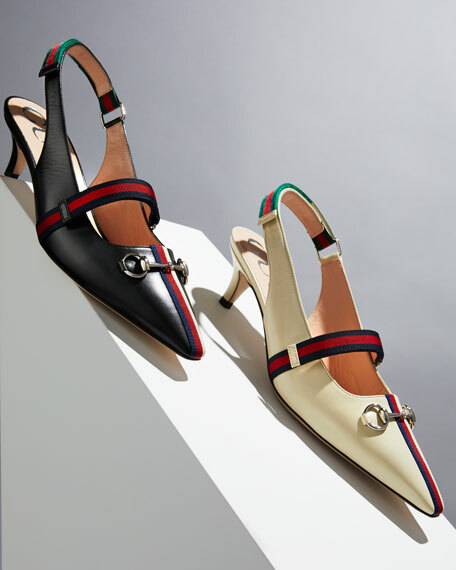 Gucci pumps in kidskin leather. Square toe with horsebit buckle. Blue/red/blue Web detail at center and upper. Green/red/green Web slingback grip strap. Gucci patent leather pump with signature bee detail. 3" covered block heel. Round toe. Thin strap over vamp. Floral-print leather lining. Smooth outsole. Made in Italy. Fit: Runs true to size.